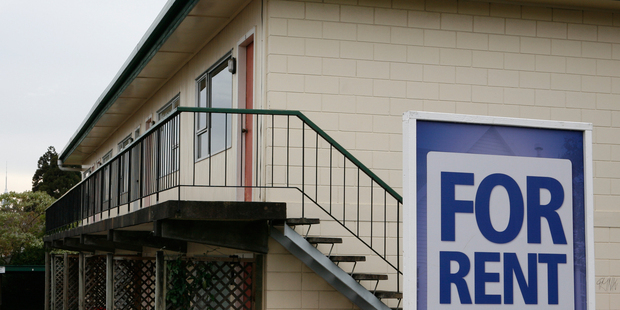 The yawning gap between Auckland property values and rents looks set to widen as landlords struggle to boost their rents in the wake of interest rate increases. Auckland residential property prices have increased by more than 30 per cent across most of the city in the last three years; and in past decades landlords have been able to reflect at least some of that increase in their rents. But city rents have remained virtually static in the last three years, reducing property investor yields and, for many people, tipping the balance towards renting rather than buying for many. While there are exceptions where some landlords have been able to edge up their rents to recoup some additional financing costs, government figures suggest most landlords have had to wear significantly lower rental yields. Economists say the prospects of landlords being able to dramatically increase their rents are low, given the country’s relatively low inflation and wage levels. Auckland is where the jobs are and where the majority of returning and new migrants end up living so, in the next six to 12 months at least, rents are not expected to balloon. via Why renting’s good for Aucklanders – for now – Business – NZ Herald News. What is very interesting though is the figures presented by this article Size does matter in housing trends – Property – NZ Herald News. The housing market is a fickle beast, prone to booms and busts that, at their extremes, can have remarkably little to do with how many people are actually looking for a place to live. But, in the long run, the market will always adjust to the balance between demand and supply. In this article we look at some of the longer-term insights relevant to the housing market from the 2013 Census. New Zealand’s population hit the 4.5 million mark in June this year with rising net immigration pushing annual population growth to a decade high. So are all these extra people leading to housing shortages? Census data gives some deeper insights than just the number of dwellings versus the population. In particular, it suggests demand for smaller houses should be increasing relative to large houses. The population is ageing. For example, the 40 to 69 age bracket has risen to 38 per cent of the resident population as opposed to under 30 per cent in the early 1990s. Household structure has also changed, with relatively fewer large families. The number of persons per dwelling remains in a long-term gradual decline. And if there was not enough doom and gloom this article Further signs the property market is cooling – Property – NZ Herald News. suggests A further sign the property market could be cooling, with ASB Bank now saying house price growth is likely to be slower than the Reserve Bank’s revised forecast. Latest figures show turnover dipped almost five per cent between July and August…allowing for seasonal adjustments. And it’s taking longer to sell, the average time is now 39 days, up from 36. ASB senior economist Chris Tennent-Brown says turnover is down 16 per cent on a year ago, and nearly 20 per cent lower than the average level since 1992. “What it looks like to us is the peak period of house price appreciation is definitely behind us. Tennent-Brown says it remains to be seen how sales go in the busy months of October and November.